The latest tech news about the world's best gadgets, apps, securities and much more.!!! Firefox Send is a website anyone can use free of charge to transfer files. Links to the files can be set to expire in a week or less, and downloads can be limited in number. "Send uses end-to-end encryption to keep your data secure from the moment you share to the moment your file is opened," wrote Nick Nguyen, Mozilla's vice president of product strategy. Firefox Send, formerly one of the experiments run under Mozilla's now-defunct Test Pilot program, is not an app but a website that anyone can use free of charge. Firefox Account holders - accounts are used to synchronize saved bookmarks and passwords to browsers on multiple devices - are given an edge in that they can upload files as large as 2.5GB to the service. Non-account holders are limited to 1GB uploads. Send makes it easy for your recipient, too. No hoops to jump through. 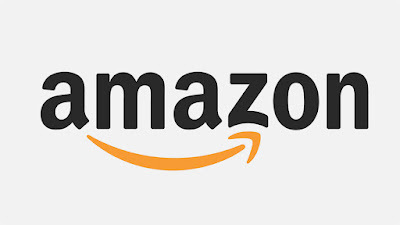 They simply receive a link to click and download the file. They don’t need to have a Firefox account to access your file. Overall, this makes the sharing experience seamless for both parties, and as quick as sending an email. We know there are several cloud sharing solutions out there, but as a continuation of our mission to bring you more private and safer choices, you can trust that your information is safe with Send. As with all Firefox apps and services, Send is Private By Design, meaning all of your files are protected and we stand by our mission to handle your data privately and securely. Whether you’re sharing important personal information, private documents or confidential work files you can start sending your files for free with Firefox Send. 2.Applicable for users who have not done a mobile recharge on Paytm before. 5.Please make sure to apply the promo code before clicking on "proceed to pay" Cashback will be credited within 24 hours of successful transaction. 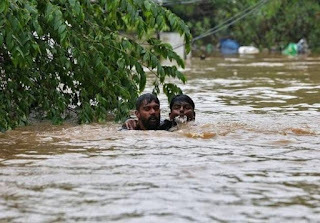 THE PEOPLE IN KERELA ARE FIGHTING WITH THEIR LIFE'S TO SURVIVE THEIR AND IT IS REALLY AN DIFFICULT SITUATION WHICH WE CAN'T EVEN IMAGINE. Paytm - Once go on the Paytm home page and you will see an option of Kerela floods, you just need to tap on that and the funds will be transferred to CM's relief fund and you can also use another payment methods. Google - on Google you can use the person finder tool and look for a missing person or add the information for some one whom you think may have been separated. It is good to see that network companies like Jio, Airtel, BSNL have came forward and announced 1 week of free calling. 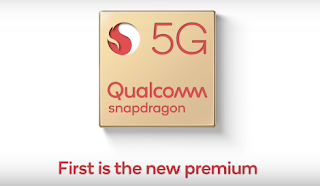 QUALCOMM HAS OFFICIALLY ANNOUNCED LATEST PREMIUM TIER FLAGSHIP, THE QUALCOMM SNAPDRAGON 855 MOBILE PLATFORM, AND VIVID 5G EXPERIENCES. The new 855 isn’t just another spec bump. It’s the chip that will almost certainly appear in the first wave of 5G phones. Qualcomm has said this new platform will support “multi-gigabit” download speeds on 5G networks. It will power Samsung 5G smartphones.The 5G smartphones would be released in the US in the first half of 2019..